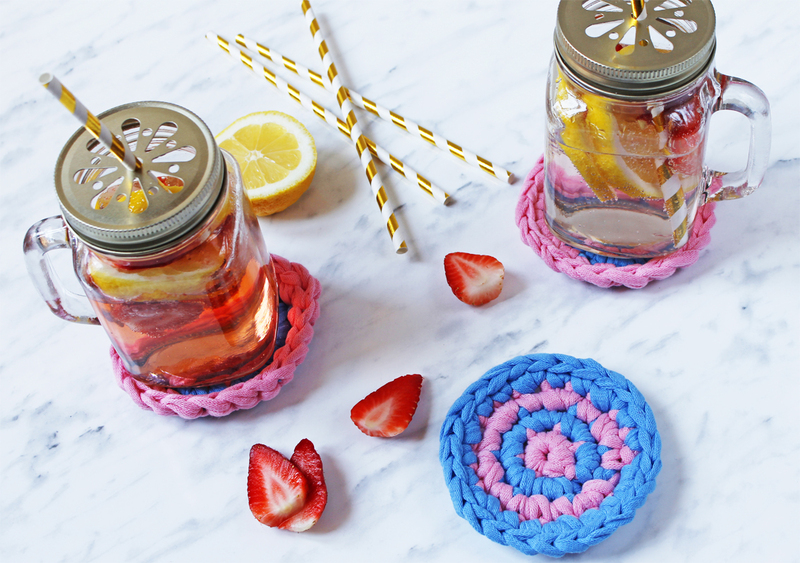 Guest Post – Striped crochet coasters for Mother’s Day! Hello everyone! It’s me again, Maria Elisa from Needles and Skeins! I’m writing in BettaKnit’s blog for a new free pattern…this time is all dedicated to your mothers! Oh yes, because Mother’s Day is very close! Have decided how to celebrate? 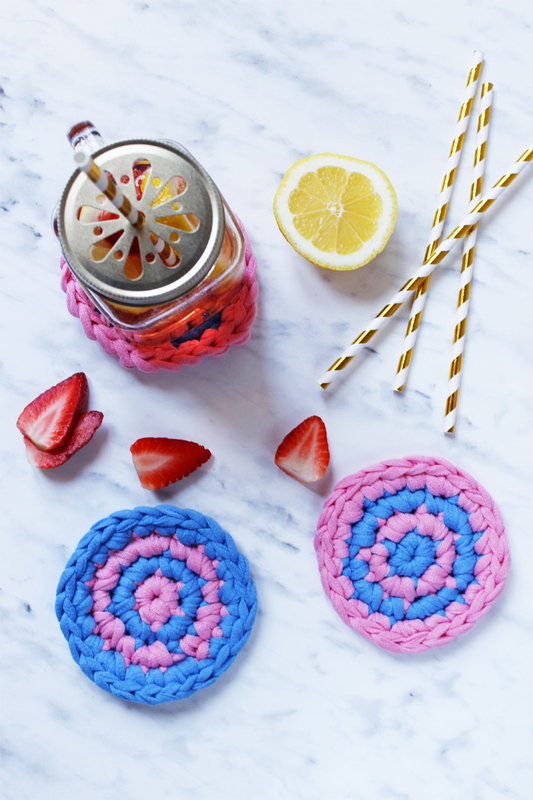 It’s the perfect occasion to get away and enjoy a bit of time alone between mother and daughter, talking and sharing gossips, drinking a refreshing cocktail…what about making yourself some colorful striped coasters as a gift for your mothers? There are just a few days left to Mother’s Day, so I designed a simple but effective pattern. 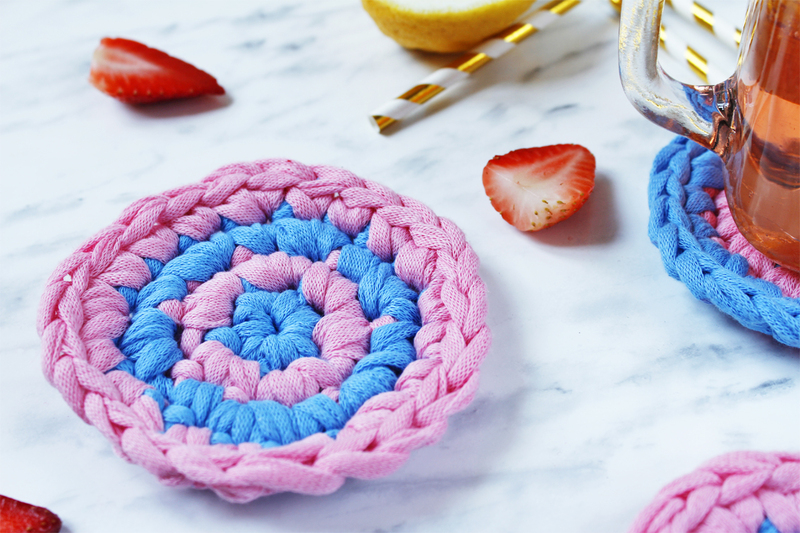 You can make these coasters in a very short time, they are colorful and you will make your mothers happy, giving them something made with your hands! They are worked in rounds, just remember to change color at the end of each row (when you are working the slip stitch). The most difficult part is starting with a magic ring but don’t worry…this video shows how to make it! Have you already subscribed at BettaKnit channel on YouTube? There are many video tutorials about basic crochet and knitting stitches They are all very clear and well-made, perfect for beginners. The perfect yarn for this project is Fettuccine Yarn, a soft cotton “tape” available in many bright colors! So let’s move to the pattern! 10 mm hook, you can find colorful ones by Bettaknit here! Round 1 – 6 dc in the magic ring with the first color (pic. 1) (there’s how to make it! ), then sl st in the first dc changing color (pic. 2-3). Round 2 – 1 ch, then 1 inc in each stitch around [12 dc], sl st in the first dc changing color again. Round 3 – 1 ch, (dc in next stitch, inc in next stitch), repeat 7 times [18 dc]. sl st in the first dc changing color. Round 4 – 1 ch, (2 dc in next stitch, inc in next stitch), repeat 7 times [24 dc]. sl st in the first dc. Hide the yarn in the work with a yarn needle. 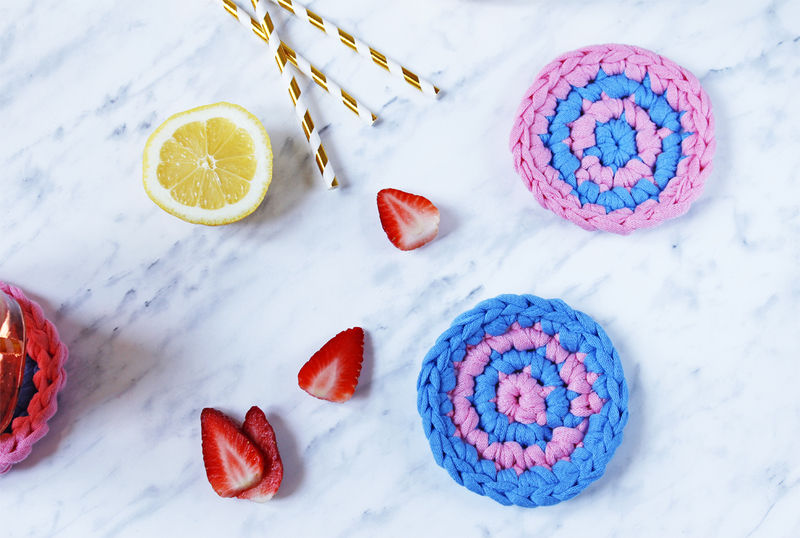 You’ve just made the coasters, now you are ready for a snack! Make them alternating row colors, as I did: remember that the color you start with will appear in a smaller number of rows. Take some pictures of you and your mothers and share it on Facebook, Instagram and Twitter using the hashtags #needlesandskeins #bettaknit #ilovebettaknit!